A Glint of Exoskeleton–available now! 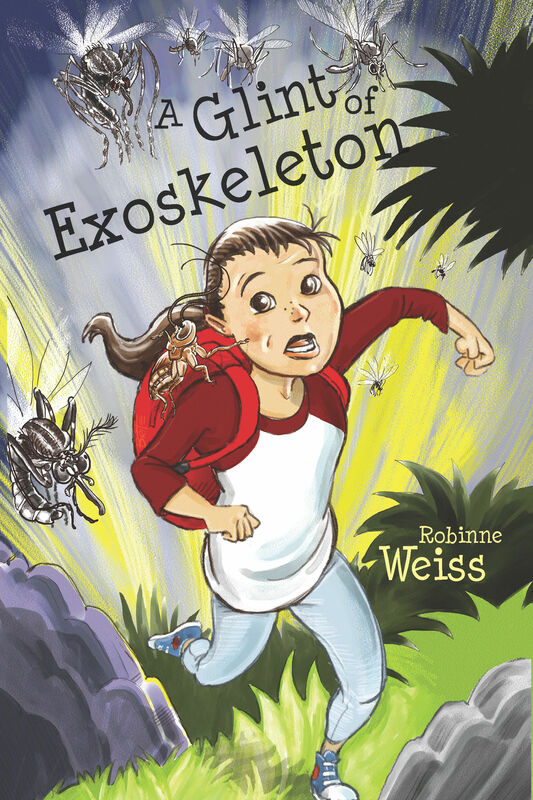 Announcing the release of my new novel: A Glint of Exoskeleton–an entomological adventure for ages 8-13. Thirteen year-old Crick struggles to hide her secret ability. She has learned the hard way that adults think she’s crazy if she tells them she can talk to insects. So when her best friend—a cockroach named Peri—enlists her to help save the human race from a deadly new insect-borne disease, she must do it in secret. The mosquitoes have engineered a new disease—Leopard Spot Fever—and have planned its orchestrated release to wipe out the human race. Crick and Peri embark on an undercover mission to kill the mosquito leader and destroy her plans. Their mission takes them to tropical Panama, where they find more than they bargained for. Soon they are on the run from the evil Dr. Dirk, in league with the mosquitoes. They must use all their cunning, and draw on a host of insect allies. But will it be enough to survive? Will they be able to stop Leopard Spot Fever before it’s too late? A Glint of Exoskeleton is available paperback and e-book formats.